What happened in Danielle Van Dam’s bedroom? 1 THE COURT: WELCOME BACK, LADIES AND GENTLEMEN. OKAY. 10 Q. WHAT ARE THEIR NAMES? 11 A. RICH AND KEITH. 12 Q. DID THEY ARRIVE BEFORE OR AFTER YOU FOLKS ARRIVED? 15 DEFENDANT ARRIVED THAT NIGHT? 17 Q. DID YOU KNOW THEIR NAMES? 19 Q. WERE YOU INTRODUCED TO THEM AT ALL? 21 Q. TELL US WHAT HAPPENED AT THAT POINT. 23 MR. WESTERFIELD INTRODUCED US TO HIM — TO THEM AND THAT WAS IT. 24 Q. DO YOU REMEMBER THEIR NAMES? 27 MADE BY THE DEFENDANT? 28 A. TALKING TO DENISE AND BARBARA. 5 SHOWED UP, IS THAT RIGHT? 7 Q. ARE THEY RELATED OR CONNECTED IN SOME WAY? 12 HUSBAND (SIC), AND NOW HER SISTER AND KEITH ARE DIVORCED. 14 AND KEITH AND RICH ARE STILL FRIENDS? 19 Q. DO YOU KNOW WHY THEY CAME THERE THAT NIGHT? 21 THAT WAS IN THE BAND. 26 RELATION TO YOU AND YOUR TWO FRIENDS? 27 A. THEY STARTED TALKING TO US. 28 Q. THEY WERE PART OF YOUR GROUP? 2 Q. WHERE WAS THAT GOING ON? 5 STOOD OVER ON THE LITTLE AREA BY ME. 6 Q. WHAT WAS THE DEFENDANT DOING AT THAT POINT? 7 A. HE WAS BEHIND ME. 8 Q. WAS HE OR HIS FRIENDS PART OF YOUR GROUP? 10 Q. EVENTUALLY DID YOU LEAVE THE BAR AREA? 11 A. YES, WE DID. 12 Q. WHERE DID YOU GUYS GO? 13 A. WE WENT TO PLAY POOL. 14 Q. WHO ALL WENT? 16 WE WOULD JOIN THEM, AND SO THEN DENISE AND I WENT. 20 Q. WERE THE TABLES OPEN? 21 A. YES, THEY WERE. 24 AND I PLAYED ON THE OTHER TABLE. 25 Q. DID ANYBODY JOIN YOU AND DENISE? 27 INTRODUCED US TO ASKED IF THEY COULD JOIN US. 28 Q. WHAT DID YOU SAY? 3 Q. WHAT WERE THE TEAMS? 5 THE OTHER TEAM WITH THE OTHER GENTLEMAN. 7 CAN KEEP THEM APART IN ANY SORT OF WAY? 12 A. THE OTHER GUY. 14 POOL, IF YOU KNOW? 15 A. I DIDN’T WATCH HIM. 19 JUST KIND OF WATCHING. 23 Q. THAT TURQUOISE POLE IN PHOTOGRAPH “D”? 24 A. TURQUOISE POLE IN PHOTOGRAPH “D”, YES. 25 Q. WAS HE DOING ANYTHING? 26 A. JUST STARING AT US. 27 Q. DID HE EVER PLAY POOL WITH YOU FOLKS? 4 PARTNER FOR TWO AND THEY WON. 12 A. I THINK THEY WERE JUST STARTING. 14 ENTIRE TIME YOU GUYS WERE IN THE POOL ROOM? 15 A. NO, I DON’T. 17 THERE SOMETHING ELSE GOING ON? 20 Q. WHERE DID YOU GO? 21 A. WE ACTUALLY WENT OUT TO THE TRUCK THEN. 23 A. DENISE AND BARBARA AND KEITH AND RICH AND I. 24 Q. DID ANYBODY GET INSIDE THE CAR? 25 A. DENISE AND BARBARA AND I. 26 Q. WHO WAS SITTING WHERE, IF YOU REMEMBER? 28 CONSOLE AND BARBARA WAS IN THE PASSENGER SEAT. 1 Q. WHAT’S GOING ON OUT THERE? 2 A. WE SMOKED MARIJUANA. 4 A. DENISE AND BARBARA AND I. 5 Q. WAS ANYTHING GOING ON WITH BARBARA AND KEITH? 6 A. I’M NOT SURE. 7 Q. DO YOU THINK SOMETHING WAS GOING ON? 8 A. I THINK SOMETHING WAS GOING ON. 9 Q. WHAT DO YOU THINK WAS GOING ON? 10 A. I THINK THEY WERE KISSING. 11 Q. WHERE WAS KEITH? 12 A. HE WAS ON THE — ON BARBARA’S SIDE OF THE TRUCK. 13 Q. INSIDE OR OUTSIDE THE TRUCK? 15 Q. WHERE WAS BARBARA? 16 A. IN THE PASSENGER SEAT. 20 CAR AND I WASN’T REALLY PAYING THAT MUCH ATTENTION. 21 Q. WAS ANYTHING GOING ON WITH YOU AND RICH? 25 A. MAYBE 10 MINUTES. 26 Q. THEN WHERE DID YOU GO? 27 A. WENT BACK IN. 2 Q. WHAT PART OF DAD’S? 3 A. OH, WE STARTED DANCING. 6 RICH THAT NIGHT AND KEITH. 7 Q. AND DID YOU DANCE WITH THE OTHER GIRLS? 9 Q. DID YOU DANCE WITH ANYBODY ELSE IN THE PLACE? 11 ASKED ME IF I WOULD DANCE WITH HIM. 12 Q. AND CAN YOU DESCRIBE HIM FOR US? 13 A. HE WAS PROBABLY IN HIS MID 40S WITH BLOND HAIR. 14 Q. DID YOU DANCE WITH HIM? 16 Q. FAST DANCE OR SLOW DANCE? 17 A. IT WAS A SLOW DANCE. 19 WITH THE GIRLS, FAST DANCES, SLOW DANCES? 21 Q. AND RICH AND KEITH, DID YOU DANCE WITH THEM? 23 Q. FAST DANCE, SLOW DANCE? 25 Q. HOW ABOUT THE DEFENDANT, DID YOU DANCE WITH HIM? 27 Q. ARE YOU SURE? 3 A. I CAN’T REMEMBER. 7 Q. WHAT DID YOU DRINK THAT NIGHT? 9 AND SOME WATER, A RED BULL AND I MAY HAVE HAD A DIET COKE. 10 Q. WHAT’S A RED BULL? 13 Q. IS IT AN ALCOHOLIC DRINK? 14 A. NO, IT IS NOT. 15 Q. HOW MUCH WATER WERE YOU DRINKING? 16 A. I HAD ABOUT TWO GLASSES. 19 A. PROBABLY IN BETWEEN THE DRINKS. 20 Q. AND YOU WERE THERE FOR HOW LONG? 21 A. FROM ABOUT 8:30, 8:45 UNTIL CLOSING ABOUT 1:50. 23 DANCING WITH, WERE THERE TIMES WHEN YOU WEREN’T DANCING? 26 THAT DANCE AREA/BAR AREA? 3 GO ASK HIM BECAUSE I HAD NO IDEA. 4 Q. SO WE UNDERSTAND, WHO’S “HE”? 7 A. RICH BRADY, YEAH. 8 Q. WE CAN’T TALK AT THE SAME TIME. 11 WHILE YOU WERE THERE? 12 A. NOT THAT I RECALL. 15 A. I MAY HAVE TALKED ABOUT THE FATHER/DAUGHTER DANCE. 16 IT WAS COMING UP THE FOLLOWING THURSDAY. 17 Q. WHOSE FATHER/DAUGHTER DANCE? 19 Q. WHO WAS SHE SUPPOSED TO BE GOING WITH? 21 Q. WHEN WAS THAT COMING UP? 22 A. IT WAS ON THURSDAY NIGHT AT THE SCHOOL. 23 Q. THE FOLLOWING THURSDAY AFTER THE NIGHT AT DAD’S? 25 Q. DO YOU RECALL WHO YOU WERE TALKING WITH ABOUT THAT? 28 Q. ABOUT WHAT TIME YOU LEFT THE BAR, DO YOU REMEMBER? 4 TO LEAVE, DO YOU KNOW IF THE DEFENDANT WAS STILL THERE? 6 Q. NO, HE WASN’T OR NO, YOU DON’T KNOW? 7 A. NO, I DON’T KNOW IF HE WAS THERE. 8 Q. DID YOU EVER SEE HIM LEAVE THAT EVENING? 11 AWARE OF THEM LEAVING AT ANY TIME? 12 A. NO, I WAS NOT AWARE. 14 GATHER UP AND LEAVE? 18 COME BACK TO MY HOUSE TO PICK UP THEIR CAR. 19 Q. “THEY” WAS WHO? 22 COULD COME BACK FOR A FEW MINUTES AND TALK TO HER. 24 ESTABLISHMENT WAS ABOUT TO CLOSE? 25 A. I REMEMBER THERE BEING A LAST CALL FOR ALCOHOL. 26 Q. WHAT DID YOU DO, YOU AND YOUR GIRLFRIENDS DO? 4 THAT’S PARTIALLY COVERED THERE? 6 Q. WHAT HAPPENED THEN? 8 DROVE AWAY. THAT WAS JUST DENISE AND BARBARA CAME OUT. 11 A. I THOUGHT THAT RICH AND KEITH WERE GONNA COME BY. 12 Q. DID YOU MAKE IT ALL THE WAY HOME IN ONE TRIP? 15 AND GO BACK AND SHE JUMPED OUT AND GOT THEM. 20 Q. WHEN SHE PICKED UP HER CIGARETTES WHERE DID YOU GO? 21 A. WE DROVE BACK TO MY HOUSE. 25 SPRINGHURST AND POWAY ROAD THEY WERE IN FRONT OF US. 26 Q. THEN WHAT HAPPENED? 27 A. WE DROVE TO OUR HOUSE. I PULLED INTO THE DRIVEWAY. 28 KEITH AND RICH PARKED IN FRONT. 2 VEHICLES AROUND THE DEFENDANT’S HOME? 4 Q. DID YOU SEE A MOTOR HOME THERE? 9 Q. SO ONCE YOU STOPPED AT YOUR HOUSE WHAT HAPPENS? 11 WERE GETTING OUT OF KEITH’S CAR AND THEY STARTED COMING IN. 12 Q. WHAT HAPPENS ONCE YOU GET INSIDE? 14 THAT THERE WAS A RED BLINKING LIGHT ON THE ALARM MONITOR. 15 Q. WHAT DID THAT MEAN TO YOU? 16 A. IT MEANT THAT THERE WAS A DOOR OR A WINDOW OPEN. 17 Q. DO YOU RECALL IF THERE WERE ANY LIGHTS ON INSIDE? 19 YOU WALK IN THE FRONT DOOR YOU CAN SEE UP THERE. 20 Q. AND DID YOU SEE YOUR HUSBAND, DAMON, AT THAT POINT? 25 WINDOW OPEN AND I NEEDED TO FIND IT. 26 Q. SO WHAT DID YOU DO? 1 BECAUSE HE WAS UP AND I ASKED HIM IF HE WANTED TO COME DOWN. 7 Q. WHICH DOOR WAS IT? 12 A. YES, I DID. 14 A. WHEN WE WERE IN THE GARAGE. 17 DOOR.” DO YOU SEE THE DOOR THAT WAS OPEN? 19 Q. WHICH DOOR IS IT? 21 Q. THAT GOES FROM INSIDE THE GARAGE TO THE SIDE YARD? 22 A. TO THE SIDE YARD. 26 OPEN WHEN YOU RETURNED HOME THAT EVENING? 2 VISIBLE IN ANY OF THESE PHOTOGRAPHS? 3 A. IT’S IN PHOTOGRAPH “A” CIRCLED WITH BLUE. 6 A. THE LIGHT WENT OFF. 7 Q. WHAT DID YOU DO? 8 A. WE WENT INTO THE KITCHEN AND HEATED UP PIZZA. 9 Q. WAS THERE A TIME WHEN YOU WENT UPSTAIRS? 15 MR. DUSEK: HOLD ON A MINUTE, MA’AM. 17 THE COURT: OKAY, MR. DUSEK. 22 A. NO, I DON’T RECALL. 26 Q. WHAT HAPPENED WHEN YOU WENT UPSTAIRS? 1 Q. WHAT WERE THEY DOING? 2 A. THEY WERE TALKING. 3 Q. ANYTHING ELSE THAT YOU SAW? 5 Q. WHAT DID YOU DO? 10 A. WE ALL WENT DOWNSTAIRS. 11 Q. WHAT WAS GOING ON DOWNSTAIRS? 13 THE KITCHEN AREA AND ATE PIZZA. 14 Q. WHERE DID THE PIZZA COME FROM? 15 A. IT WAS LEFT OVER FROM EARLIER IN THE EVENING. 17 YOU GOT BACK FROM DAD’S? 18 A. NO, I DID NOT. 19 Q. DID YOU GO TO THEIR ROOMS AT ALL? 20 A. YES, I DID. 21 Q. WHEN WAS THAT? 25 WANT THEM TO WAKE UP. 26 Q. “THEIR VOICES” BEING? 27 A. KEITH AND RICH. 7 AREA TO YOUR RESIDENCE? 8 A. YES, IT IS. 10 YOU WOULD GET UPSTAIRS, THE STAIRWAY? 12 Q. APPEARS TO BE THE LEFT MIDDLE SIDE OF THAT DIAGRAM? 13 A. YES, IT IS. I’M SORRY, YES IT IS. 14 Q. IS THE MASTER BEDROOM DEPICTED IN THAT PHOTOGRAPH? 15 A. THE MASTER BEDROOM IS OVER HERE. 16 Q. WHERE IT SAYS “MASTER BEDROOM”? 18 Q. AND THE CHILDREN’S BEDROOMS, ARE THEY DEPICTED? 19 A. YES, THEY ARE. 22 A. DYLAN’S ROOM IS THE FIRST ROOM ON THE RIGHT. 23 Q. AND THEN DANIELLE’S BEDROOM IS WHERE? 24 A. HER ROOM’S THE SECOND ROOM ON THE RIGHT. 25 Q. IS LABELED “DANIELLE’S BEDROOM”? 26 A. YES, IT IS. 27 Q. AND THE FAR BEDROOM IS WHOSE? 28 A. THIS IS DEREK’S BEDROOM. 3 CONDITION, OPEN OR CLOSED, OF THEIR DOORS? 5 THEM A LITTLE OPEN WHEN WE GO TO BED. 6 Q. AND YOU CLOSED ALL OF THEM? 8 Q. DID YOU LOOK INSIDE? 15 THEIR TEETH AND THEY HAD BEEN READ TO AND NO ONE ASKED FOR ME. 18 A. DENISE WAS HEATING UP PIZZA. 19 Q. WHERE WAS THE GROUP? 20 A. THE GROUP WAS IN THE KITCHEN AREA, THE EATING AREA. 21 Q. WHAT WAS GOING ON THERE? 22 A. THEY WERE TALKING AND HEATING UP PIZZA. 23 Q. ANYTHING TO DRINK? 2 THE KITCHEN AREA EATING AT YOUR HOUSE? 3 A. PROBABLY ABOUT 20 MINUTES. 4 Q. THEN WHAT HAPPENED? 5 A. DENISE AND BARBARA LEFT. 6 Q. WAS ANYTHING SAID AS THEY LEFT? 8 AND I WALKED THEM OUT TO THE FRONT, SAID GOODBYE TO THEM. 9 Q. AS THEY LEFT WERE THEY WITH ANYONE ELSE? 11 Q. DID THEY HAVE DANIELLE WITH THEM? 15 A. THEY WERE IN THE KITCHEN TALKING TO DAMON. 16 Q. WHAT HAPPENED AFTER THE GIRLFRIENDS LEFT? 19 TIRED AND WANTED TO GO TO BED, AND SO THEY BOTH LEFT. 20 Q. HOW DO YOU KNOW? 21 A. I WALKED THEM TO THE DOOR AND I CLOSED THE DOOR. 22 Q. DID THEY WALK OUT WITH ANYBODY? 24 Q. DID THEY HAVE DANIELLE WITH THEM? 26 Q. WHERE DID YOU THINK SHE WAS? 27 A. IN HER BED. 28 Q. DID YOU LOCK UP AFTER YOUR GUESTS LEFT? 2 Q. AND WHAT DID YOU DO? 4 DOOR WAS ALREADY LOCKED. 5 Q. HOW DO YOU KNOW? 10 HAVE TO LET HER OUT ‘CAUSE SHE SETTLED DOWN. 13 A. IT WAS VERY COOL. 14 Q. WHAT DO YOU MEAN BY THAT? 15 A. WE SLEPT WITH THE WINDOWS CLOSED. 19 A. STRAIGHT TO BED. 21 WHAT TIME IT WAS THAT YOU GOT IN BED, IF YOU CAN? 22 A. PROBABLY AROUND 2:30. 26 AFTER YOU GOT IN BED AND FELL ASLEEP? 1 Q. DID YOU WAKE UP? 2 A. NOT FULLY. I JUST REMEMBER HIM GETTING UP. 9 A. I DON’T RECALL. 13 Q. DID YOU GET OUT OF BED? 15 Q. WHAT’S THE NEXT THING YOU REMEMBER HAPPENING? 16 A. I WOKE UP IN THE MORNING. 17 Q. WHERE WAS DAMON? 18 A. HE WAS ALREADY DOWNSTAIRS. 19 Q. SO WHAT DID YOU DO? 21 GOT UP AND TOOK A SHOWER. 22 Q. DID YOU HAVE ANY RESPONSIBILITIES THAT MORNING? 24 Q. WHAT WERE THEY? 26 STREET’S — HER TWO CHILDREN. 27 Q. HOW LONG WERE YOU SUPPOSED TO WATCH THEM? 28 A. FOR A COUPLE HOURS. 2 HOUSE WITH THE KIDS? 3 A. ABOUT — I THINK IT WAS 9:30. 7 BREAKFAST. I STARTED MAKING BREAKFAST AND THE DOOR BELL RANG. 8 Q. WHO ALL WAS DOWNSTAIRS? 9 A. DEREK, DAMON AND DYLAN. 11 RECALL WHERE SHE WAS? 12 A. I THOUGHT SHE WAS STILL IN BED SLEEPING. 13 Q. HAD YOU CHECKED HER BEFORE YOU CAME DOWNSTAIRS? 18 AND THAT IF SHE WANTED TO SHE COULD GO UP AND WAKE HER UP. 21 Q. WHAT DID SHE DO? 23 PLAYING AND HER BROTHER. 24 Q. WHAT HAPPENED THEN? 27 TOLD HER I’D DO IT MYSELF. 2 Q. WHAT DID YOU DO? 3 A. I WALKED UPSTAIRS AND I WENT INTO HER ROOM. 4 Q. DO YOU REMEMBER IF HER DOOR WAS OPEN OR CLOSED? 5 A. IT WAS OPEN. 8 A. IT WAS CLOSED. 9 Q. AND YOU WALKED INTO THE ROOM, WHAT DID YOU SEE? 10 A. JUST HER BED. 11 Q. DIDN’T SEE HER? 13 Q. WHAT DID YOU DO? 19 SHOULD BE IN HER ROOM. AND I SAID WELL, SHE’S NOT. 24 I WENT OUT BACK BUT WE COULDN’T FIND HER. 25 Q. DID YOU CALL ANYBODY? 26 A. I CALLED 911. 6 Q. A NEIGHBOR LADY? 7 A. A NEIGHBOR LADY. 12 AND LOOKED IN THE NEXT DOOR NEIGHBOR’S YARD. 13 Q. YOU INDICATED YOU CALLED 911? 20 MR. FELDMAN: I’M SORRY. THE EXHIBIT NUMBER OF THE TAPE? 24 THE COURT: ALL RIGHT. 25 MR. FELDMAN: YOUR HONOR, I TALKED TO COUNSEL ABOUT THIS. 27 MANNER IN WHICH THE TRANSCRIPTS ARE TO BE VIEWED. 17 BE GETTING A COPY OF THE TRANSCRIPT OF THE 911 TAPE. 19 ONE, THE BEST EVIDENCE OF WHAT THE TAPE SAYS IS THE TAPE ITSELF. 21 LISTENING TO THE TAPE. 22 SOMETIMES THERE ARE AREAS THAT MIGHT BE INAUDIBLE. 27 ALTERNATES HAVE A COPY OF THE TRANSCRIPT. 28 MR. DUSEK: I’D ASK THAT WE BE ABLE TO PLAY THE TAPE NOW. 1 THE COURT: THAT’S FINE. 10 Q. IS THAT YOUR VOICE ON THAT TAPE? 13 AFTER THAT PHONE CALL, IF YOU CAN REMEMBER? 14 A. APPROXIMATELY 15 MINUTES. 15 Q. WHAT WERE YOU DOING DURING THAT TIME? 16 A. I DON’T RECALL. I WAS SEARCHING FOR DANIELLE. 17 Q. WERE YOU ALLOWED BACK INTO THE HOUSE THAT NIGHT? 20 A. BECAUSE THEY WERE LOOKING FOR EVIDENCE. 21 Q. WHERE DID YOU SPEND THE NIGHT? 22 A. AT MY NEIGHBOR ACROSS THE STREET, JULIE. 23 Q. WHAT’S HER NAME? 25 Q. IS THAT THE LADY YOU WERE BABY-SITTING FOR? 27 Q. HOW MANY NIGHTS DID YOU SPEND AT HER HOUSE? 2 SORRY, BACK INTO YOUR HOUSE? 5 UPON YOU GOING BACK INTO YOUR HOUSE? 9 A. THEY APPEARED TO BE DONE. 11 WERE ALLOWED TO GET BACK IN? 17 Q. DID THEY COMPLETE THE CLEANING JOB? 19 Q. DID ANYTHING STOP THEM FROM GOING UPSTAIRS? 21 ASKED THEM NOT TO GO IN THERE. 23 A. BECAUSE I DID NOT WANT IT TOUCHED. 25 TRY TO GET THINGS OUT OF HER ROOM? 26 A. YES, THEY DID. 28 THAT THEY WANTED FROM THE HOUSE? 3 HUSBAND AND YOUR CHILDREN? 5 Q. BLOOD, HAIR, THAT TYPE OF THING? 7 Q. DID THEY ALSO ASK FOR SAMPLES FROM YOUR DOG? 9 Q. DID YOU PROVIDE THOSE? 11 Q. DID DANIELLE GO TO THE DENTIST? 13 Q. DO YOU REMEMBER THE NAME OF THE DENTIST? 14 A. IT WAS “A POWAY DENTAL.” HER DENTIST WAS DR.
18 A. I GAVE THE PERMISSION TO GO AND GET THEM. 21 A. NOT THAT I RECALL. 24 THE WALL IN THERE? 1 Q. DO YOU KNOW HOW THAT GOT THERE? 2 A. I ASSUME IT’S FROM OUR DOG. 3 Q. DO YOU REMEMBER THE DOG BEING BLOODY SOMETIME? 5 Q. WHEN WAS THAT? 15 THE WITNESS: A COUPLE WEEKS BEFORE. 19 BEDROOM I BELIEVE. IT’S EXHIBIT NO. 20. 20 DO YOU RECOGNIZE WHAT I HAVE DEPICTED HERE, MA’AM? 23 PHOTOGRAPHS “A” AND “B”, WHAT ARE THEY LOOKING AT? 24 A. THAT IS OUR STEAM CLEANER. 27 A. YES, IT IS. 28 Q. HOW LONG HAD IT BEEN THERE? 1 A. JUST A FEW DAYS. 2 Q. WHY WAS IT THERE? 10 A. — HER DISAPPEARANCE. 11 Q. YOU ALSO HAVE A VACUUM? 13 Q. WAS THE VACUUM OUT THE DAY THAT SHE DISAPPEARED? 15 Q. WHERE WAS IT? 16 A. IT WAS UPSTAIRS IN THE HALL. 22 Q. WHY WAS IT THERE? 23 A. BECAUSE I PLANNED TO VACUUM UPSTAIRS. 2 Q. WHAT DOES DANIELLE SLEEP IN? HER NIGHTWEAR? 4 Q. CAN YOU DESCRIBE ‘EM FOR US? 8 Q. WHAT MATERIAL, DO YOU KNOW? 11 KNOW IF SHE HAS ANY CONTACT WITH YOUR DOG? 12 A. YES, SHE DOES. 15 LAYS ALL OVER HER. 17 MISSING,, CAN YOU REMEMBER HER AT ANY TIME BEFORE THAT BLEEDING? 22 ON HER BACK AND SCRATCHED HER. 26 Q. DID YOU CHECK HER OUT? 27 A. I DID AND IT WAS A MINOR SCRATCH. 1 A. ON HER BACK. 2 Q. ABOUT HOW LONG? 3 A. IT WAS ABOUT THREE, FOUR INCHES LONG. 4 Q. DID YOU SEE ANY BLOOD? 6 Q. WHAT HAPPENED AFTER SHE GOT SCRATCHED? 7 A. SHE GOT MAD AT THE DOG AND WENT UPSTAIRS. 9 WEARING ON TOP OF THIS SCRATCH? 11 Q. HOW LONG WAS HER HAIR WHEN SHE DISAPPEARED? 16 A. WE HAD A PASSPORT PHOTO TAKEN ON FRIDAY. 17 Q. THE FRIDAY THAT YOU DESCRIBED GOING TO DAD’S? 19 Q. WHY DID YOU HAVE A PASSPORT PICTURE TAKEN? 20 A. WE WERE PLANNING A TRIP TO ITALY. 21 Q. FOR WHAT REASON? 23 ITALY FOR TWO WEEKS AND WE WERE GOING TO GO ALONG WITH HIM. 2 COURT’S EXHIBIT 9. DO YOU RECOGNIZE WHAT WE HAVE DEPICTED HERE? 4 Q. IS THAT THE PASSPORT PHOTOGRAPH? 5 A. YES, IT IS. 6 Q. WHAT DAY WAS THAT TAKEN? 7 A. IT WAS THE FRIDAY, FEBRUARY 1ST. 8 Q. HOW DO YOU KNOW WHEN HER HAIR WAS CUT? 9 A. BECAUSE I TOOK HER. 10 Q. HOW DO YOU KNOW THE EXACT DATE? 11 A. I DON’T KNOW. I HAVE A RECEIPT. 12 Q. DID I ASK YOU TO LOOK FOR A RECEIPT? 14 Q. DID YOU FIND ONE? 18 APPEARS TO BE A RECEIPT FROM HAIR CAMELOT. 19 DO YOU RECOGNIZE THAT, MS. VAN DAM? 21 Q. WHAT IS IT? 22 A. IT’S A RECEIPT FOR WHEN WE HAD HAIRCUTS. 23 Q. IS THAT THE ONE YOU FOUND FOR ME? 25 Q. DOES IT SAY WHAT DATE YOU HAD THE HAIRCUT? 26 A. IT IS JANUARY 26TH. 1 A. YES. IT SAYS 14:38. 2 Q. WHERE WAS THE HAIRCUT? 4 Q. JUST TO BE SURE, WHAT YEAR? 5 A. JANUARY 26TH, ’02. 6 Q. THANK YOU, MA’AM. 9 A. FOUR — FOUR OR MORE INCHES. 17 FOR US HOW LONG IT WAS? 18 A. IT WAS AROUND SEPTEMBER. 21 A. DOWN TO THE MIDDLE OF HER BACK. 25 Q. WHAT PICTURES WERE THOSE? 26 A. HER SCHOOL PICTURES. 27 Q. DID YOU FIND A PICTURE FOR US AND PROVIDE IT TO US? 2 Q. I’VE HAD MARKED AS COURT’S EXHIBIT 32 A PHOTOGRAPH. 3 DO YOU RECOGNIZE WHAT WE HAVE HERE, MS. VAN DAM? 4 A. YES, THAT’S DANIELLE. 5 Q. WHEN WAS THAT PHOTOGRAPH TAKEN? 7 Q. OCTOBER OF 2001? 8 A. OCTOBER OF 2001. 10 HER HAIR WAS IN OCTOBER? 13 OCTOBER PHOTOGRAPH UNTIL YOU HAD HER HAIRCUT IN JANUARY? 15 Q. DID YOU DO ANY TRIMMING OR SNIPPING ON IT? 17 Q. WHAT COLOR WAS HER HAIR? 19 Q. AND YOUR TWO BOYS, WHAT COLOR WAS THEIR HAIR? 21 Q. HOW LONG IS DYLAN’S HAIR? 24 A. IT MEANS IT’S VERY SHORT. 25 Q. VERY SHORT MEANS HOW LONG? 26 A. MAYBE AN INCH ON TOP. 27 Q. AND THE OTHER BOY, HOW LONG WAS HIS HAIR? 28 A. ABOUT AN INCH AND A HALF ON TOP. 1 Q. HOW LONG HAS THEIR HAIR BEEN THAT SHORT? 2 A. FOR A COUPLE YEARS. 4 HAIR WAS IN RELATION TO DANIELLE’S HAIR? 6 Q. DID YOU PROVIDE ME WITH THAT PHOTOGRAPH? 10 PHOTOGRAPH DEPICTING DANIELLE AND THE TWO BOYS. 11 DO YOU RECOGNIZE WHAT WE HAVE THERE, MS. VAN DAM? 12 A. THAT’S A SCHOOL PICTURE. 14 IN 32 WAS TAKEN. 15 A. YES, IT WAS. 16 Q. AND THE BOYS THERE, WHICH ONE IS ON THE LEFT? 26 Q. YOUR HAIR COLOR IS WHAT? 28 Q. IS IT CHEMICALLY TREATED? 2 Q. HOW LONG HAS IT BEEN TREATED THAT WAY? 4 MR. DUSEK: MAY I HAVE A MOMENT, YOUR HONOR? 7 MR. DUSEK: NO FURTHER QUESTIONS, YOUR HONOR. 8 THE COURT: ALL RIGHT. CROSS-EXAMINATION. 12 Q. GOOD MORNING, MA’AM. 19 ANYBODY ABOUT THE SUBJECT MATTER OF YOUR TESTIMONY? 23 Q. APPROXIMATELY HOW MANY TIMES? 24 A. ONCE THIS MORNING. 27 A. WOULD YOU REPEAT THAT QUESTION? 3 A. I’VE TALKED TO HIM ON OTHER OCCASIONS. 4 Q. APPROXIMATELY HOW MANY? 5 A. THAT’S HARD TO GIVE YOU. I DON’T KNOW. 6 Q. TEN, 15, 20? 9 BACK IN FEBRUARY, DIDN’T THEY? 13 ATTORNEY’S OFFICE AND MEET WITH MR. DUSEK WITH YOUR HUSBAND? 18 ASPECT OF THE CASE? 21 SPOKE WITH MR. DUSEK? 24 THE CASE, IS THAT ABOUT IT? 25 A. NOT AT THE SAME TIME. 26 Q. YOU WERE SEPARATED, IS THAT RIGHT? 28 Q. AND DURING THE COURSE OF YOUR CONVERSATION WITH MR.
5 GOING TO BE PRESENTED TO YOU? 8 CROSS-EXAMINATION THAT MIGHT BE COMING YOUR WAY? 11 ANY DOCUMENTS OF ANY KIND TO HELP YOU REMEMBER WHAT HAPPENED? 13 Q. PLEASE TELL US WHAT. 15 MISSING AND THE PRELIM STATEMENT. 19 A. THE POLICE REPORTS. 21 TAPE-RECORDINGS OF THE STATEMENTS THAT YOU MADE TO THE POLICE? 24 THAT YOU MADE FOR THE POLICE? 27 AS YOU WERE COMMUNICATING WITH THEM? 2 THE PRELIMINARY HEARING; IS THAT CORRECT? 3 A. ONLY MY STATEMENT. 8 MATTER OF THIS CASE, IS THAT RIGHT? 11 HEARING, IS THAT RIGHT? 16 A. IT WAS ABOUT THE SAME. 23 A. IT HAS NOT FADED WITH TIME. 24 Q. I WANT TO SWITCH JUST FOR A MOMENT. 27 TAPE-RECORD YOUR TELEPHONE. DO YOU RECALL THAT QUESTION? 3 TRAP, PHONE TRACE OR PHONE TAPS ON YOUR TELEPHONES? 7 MESSAGE CONCERNING YOUR DAUGHTER? 10 THE COURT: COUNSEL, I’LL HEAR YOU AT SIDEBAR. 27 MR. FELDMAN: PROCEED, YOUR HONOR? 28 THE COURT: YES, PLEASE. 3 BEFORE WE BREAK FOR LUNCH, THEN WE’LL GO CHRONOLOGICALLY AGAIN. 5 WOULD GO FOR WALKS WITH THE DOG AND THE CHILDREN? 6 A. THERE WERE A FEW. 11 HUSBAND WOULD GO FOR WALKS IN THE NEIGHBORHOOD WITH THE DOG? 14 THING TO DO WITH THE FAMILY? 17 YOU WALKED WITH THE DOG, WHETHER THE DOG WAS ON A LEASH? 24 A. I DON’T KNOW. 1 LOOK THROUGH THESE MANUALLY. 3 MR. FELDMAN: I’M TRYING TO KEEP HER FROM HAVING TO LOOK. 5 MR. DUSEK: THOSE ARE UP HERE. THE ONES YOU’RE AVOIDING. 6 MR. FELDMAN: OH, OKAY. THANK YOU. 8 BEEN PREVIOUSLY MARKED COURT EXHIBIT 1. 9 DO YOU RECOGNIZE COURT EXHIBIT 1? 11 Q. THIS IS AN OVERHEAD OF YOUR NEIGHBORHOOD, ISN’T IT? 15 DO YOU SEE YOUR HOUSE IN ANY OF THESE PHOTOGRAPHS? 16 A. IT’S RIGHT THERE. 18 YOU JUST SAID RIGHT THERE? 22 Q. THAT’S GOT A BIG “D” ON IT, RIGHT? 26 SEE ALSO. CAN YOU SEE CLEARLY PHOTOGRAPH “A”, MA’AM, ON 1? 3 PHOTOGRAPH “A” OF COURT 1, IS THAT A FAIR STATEMENT? 5 Q. THAT’S A PARK, ISN’T IT? 6 A. YES, IT IS. 14 Q. NOT TOO FAR, RIGHT? 20 Q. AND I’LL TAKE THIS AWAY JUST FOR A SECOND. 22 PASSES MR. WESTERFIELD’S RESIDENCE, DOES IT NOT? 23 A. YES, IT DOES. 24 Q. HOW FREQUENTLY WOULD YOUR KIDS GO TO THE PARK? 26 VERY OFTEN. IT WASN’T A ROUTINE THING. 28 THAT PARK, IS THAT RIGHT? 3 THE PARK WITH THE NEIGHBOR CHILDREN, ISN’T THAT RIGHT? 7 COMMUNITY, IS THAT RIGHT? 10 HAVE OTHER CHILDREN TO PLAY WITH FOR YOUR KIDS, IS THAT RIGHT? 14 YOUR HOUSE, IS THAT RIGHT? 17 SCHOOL, IT’S CALLED CREEKSIDE, ISN’T IT? 23 TO SCHOOL WITH HER BROTHER, IS THAT RIGHT? 26 NEIGHBOR’S HOUSE, ISN’T THAT TRUE? 28 Q. THAT WOULD BE TAYLOR, IS THAT RIGHT? 2 Q. WHO IS TAYLOR? 3 A. TAYLOR IS DANIELLE’S FRIEND FROM SCHOOL. 7 Q. I SHOULD HAVE LEFT THE PHOTO UP, I’M SORRY. 15 Q. CAN YOU — I TRIED TO GIVE YOU THE POINTER BACK. 16 IF YOU COULD PLEASE SHOW US? 17 A. IT’S AROUND THIS CORNER AND UP HERE. 20 EXHIBIT 1; IS THAT CORRECT, MA’AM? 25 CORNER AND UP THE HILL TO TAYLOR’S. 28 POINTER AT THE “VD”; IS THAT CORRECT? 3 SIDEWALK UPWARD ON THE PHOTOGRAPH, CORRECT? 6 CAN SEE MY HAND MOVES TO THE LEFT, IS THAT RIGHT? 11 Q. THAT’S RIGHT ACROSS THE STREET, ISN’T IT, FROM MR.
13 A. YES, IT IS. 15 LEAVE THAT UP THERE FOR NOW — THAT YOU WERE AWARE THAT MR.
16 WESTERFIELD HAD A MOTOR HOME? 18 Q. HOW DID YOU KNOW THAT? 19 A. BECAUSE HE LEAVES IT IN FRONT OF HIS HOUSE. 22 IT, ISN’T THAT RIGHT? 28 WAS ALWAYS THERE, ISN’T THAT CORRECT? 6 Q. WAS THERE A FRIEND NAMED SARAH? 7 A. THERE WAS A FRIEND NAMED SARAH. 9 YOU CAN TELL US? 10 A. SARAH’S HOUSE IS ACTUALLY NOT ON HERE. 12 TWO DOORS DOWN TO HER PIANO LESSON, FOR INSTANCE? 13 A. YES, SHE WOULD. 16 A. I DON’T THINK SHE’S EVER WALKED TO SARAH’S HOUSE. 21 COMPLAIN TO YOU ABOUT WHAT AN EYE SORE IT WAS? 24 RELATIONSHIP TO HIM, MA’AM? 25 A. I’M FRIENDS WITH HIS WIFE. 28 A. I GOT IT FROM HIM THAT NIGHT, YES. 2 FROM RICH BRADY ON FEBRUARY THE 1ST YOU PURCHASED MARIJUANA? 5 YOU PLEASE TELL ME WHAT NIGHT YOU’RE REFERRING TO? 7 ON THAT NIGHT DID COME FROM RICH BRADY. 8 Q. WHEN DID YOU GET IT? 9 A. I DON’T KNOW. 10 Q. WAS IT A WEEK BEFORE? 11 A. HONESTLY, I DON’T KNOW. 14 A. I DON’T KNOW. 17 JUST DON’T REMEMBER WHETHER OR NOT THAT’S THE CASE? 18 A. I DON’T REMEMBER WHETHER OR NOT IT IS THE CASE. 22 PROVOKE SOME KIND OF A NEIGHBORHOOD REACTION, ISN’T THAT RIGHT? 23 MR. DUSEK: OBJECTION, VAGUE AS TO WHEN. 24 THE COURT: BE MORE SPECIFIC AND I’LL ALLOW IT, COUNSEL. 3 AROUND SO THAT IT COULD MAKE IT LEGAL? 4 MR. DUSEK: STILL VAGUE AS TO WHEN. 6 YOU CAN ANSWER. YOU MAY ANSWER, MA’AM. 9 ANOTHER AND HE TOOK THAT TO HIS ADVANTAGE. 12 Q. WHAT DO YOU MEAN BY THAT, MA’AM? 13 A. HE WOULD MOVE IT FROM ONE SPOT TO THE OTHER. 15 WHAT DOES THAT MEAN? 21 TIME, IS THAT RIGHT? 28 LOCATION IS PERMITTED BY YOUR COVENANTS AND RESTRICTIONS. 1 MR. DUSEK: OBJECTION, YOUR HONOR. 2 THE COURT: SUSTAINED. YOU NEED NOT ANSWER, MA’AM. 3 MR. FELDMAN: WOULD THIS BE APPROPRIATE? 6 JUROR NO. 7: THANK YOU. 9 TESTIMONY AMONG YOURSELVES OR WITH ANY OTHER PERSONS. 21 ALTERNATES HAVE LEFT THE COURTROOM. 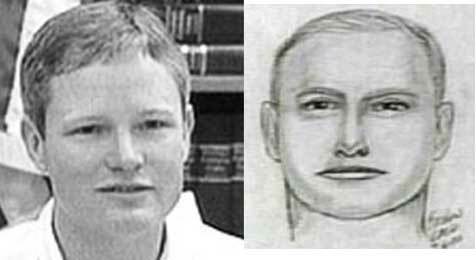 24 IS ACTUALLY ATTEMPTING TO DRAW LIKENESSES OF THE JURORS. 25 IS THAT CORRECT, MIKE? 26 THE BAILIFF: YES, YOUR HONOR. 7 THE BAILIFF: YES, YOUR HONOR. 11 WHAT THE ORGANIZATION IS. IT MIGHT BE JUST OF GENERAL INTEREST. 13 I’D LIKE TO KNOW. 14 ALL RIGHT. WE’LL BE IN RECESS UNTIL 1:30. 18 OR I’LL DEFER IT AND WAIT FOR A BREAK. 20 AT — WELL, WHY DON’T YOU JUST BE HERE AT 1:15. 22 THE COURT. I DON’T KNOW IF I CAN BE BACK BY 1:15, YOUR HONOR. 25 ALL RIGHT. WE’LL BE IN RECESS TILL 1:30. 26 MR. FELDMAN: THANK YOU. Events related on Unposted.com are not fictional and are available through public records, conclusions and comments are made by the author.